A Giant Step for Health and Well-being! WE HELP PEOPLE LIVE BETTER, LONGER!! Recent scientific studies show that bone marrow-derived adult stem cells travel through the body to renew and repair organs and tissues. Stem Cell Nutrition supports this process, safely, easily, and inexpensively. Read on to learn more! Stem cells are “master cells” which have the ability to replace any sick, damaged or worn out cells. They can become virtually any type of cell in your body – heart cells, liver cells, pancreatic cells, muscle cells, brain cells….. even the cells in the eyes, the joints and more. Your adult Stem Cells are your natural renewal and repair system. They leave from your bone marrow, travel throughout your body to repair and renew all your body’s tissues. Many scientific studies indicate that increasing the number of circulating adult stem cells is probably the single most important thing you can do to maintain optimal health.The New England Journal of Medicine even reported that the number one indicator of a healthy heart is the number of stem cells circulating in the body. Stem cell nutrition Supports the release, delivery and targeting of adult stem cells. Stem cell nutrition is the organic, all-natural way to support bone marrow to release adult stem cells into the blood stream. Stem cell nutrition is the consumption of plant-based nutrition shown to support the release, targeting, delivery and proliferation of your body’s own adult stem cells. Now, after years of quality research, it is as simple as consuming a nutritious dietary supplement. Don’t let the simplicity of this concept fool you – the benefit can be extremely powerful! There is nothing magical or mysterious about how stem cell nutrition works. It helps adult stem cells find, repair, or regenerate damaged tissues. Safely, naturally, renewing your body day by day. Adult stem cells are the body’s natural repair system. Helping these cells improves our overall health and enjoyment of life. Increasing the number these cells, and removing conditions that reduce their efficiency helps resolve many health conditions. How Does Stem Cell Nutrition Work? Supports the release of increased numbers of your own adult stem cells to repair renew your organs, muscles and other tissues throughout your body. The latest recipe for stem cell nutrition triggers a 25-40% increase in the numbers of stem cells released. For the average person, that’s around 6 t0 10 million extra stem cells released into the bloodstream within an hour of consuming the capsules. The number of stem cells in the bone marrow typically remains constant at around 150 million. These stem cells divide asymmetrically, meaning an exact copy is made. The original remains in the bone marrow, while the copy moves into the bloodstream. 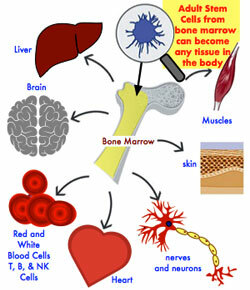 Over time the bone marrow becomes more ‘sticky’ to stem cells and as a result, less are released into the bloodstream. The number and quality of stem cells that circulate in your body gradually decrease leading to ageing, poorer health, and less enjoyment of life. With lower numbers of stem cell circulating, our body has a poorer immune response, is more prone to injury, and experience age-related health challenges. This also explains why it takes longer for older people to recover from injury and disease. Stem cell nutrients support your stem cells to restore and maintain optimal organ and tissue function in your body, and allow your body to repair faster. Your Adult Stem Cells are a vital part of your immune system too. Low numbers of Adult Stem Cells results in a less effective immune response to disease, infection and inflammation. Stem cell nutrition has nothing to do with the highly controversial topic of embryonic stem cells. Embryonic stem cells are stem cells that exist in an embryo before birth. After birth, we have ADULT STEM CELLS (even in children). The possibility exists for embryonic stem cells to cause abnormal cell growth. Research to date shows this does not happen with adult stem cells. can become specialised tissue cell when they are in that tissue. Skeptics of stem cell nutrition insisted it worked by “placebo effect” until researchers actually conducted a peer-reviewed, published, triple-blind, placebo-controlled, randomised, cross-over clinical study. Half the participants were given stem cell nutrition, while the others got dummy pills. Researchers drew blood from each patient before and after they consumed the product. ‘Blind’ Flow Cytometry and data analyses were performed. The results were unmistakable. Nothing happened to those who took the placebo. Those who took the product boosted their circulating stem cells dramatically, by 25 to 30 percent in just 60 minutes. That was with our first formulation, we have continually improved the recipe and the newer versions are considerably more potent. We help people to live better, longer. Stem Cell Nutrition is the best anti-aging system ever known and is now as simple as a daily supplement in capsule form. It is easy to buy and not expensive. Every person who wants to enjoy optimal health, improved performance, and fitness can now consume Stem Cell Nutrition daily. It is particularly helpful for elite athletes, anyone with health challenges, or simply those who wish to maintain excellent health. The Stem Cell Theory of Renewal is the greatest health discovery of our time. Christian Drapeau in the article “Stem Cells – the Building Blocks of the Body” describes how stem cells travel to old, damaged or diseased tissues and become Fresh healthy new cells of those tissues to repair them. Your own adult stem cells work like magical building blocks in your body. Christian wonders: “what if there was a brick that could fix a problem with the sidewalk, the foundation, a broken window etc. Wouldn’t we laugh at this concept?.. yet that is exactly what we have with stem cells”. AFA (Aphanizomenon Flos-Aqua) – from the pristine Lake Klamath and scientifically documented to stimulate the migration of adult stem cells from the bone marrow into the bloodstream. Undaria Pinnatifida are marine algae which are known to support both the immune system a long-lasting increase in the number of circulating stem cells. Adult stem cells play vital role in both health and disease. Scientific anti-aging research shows adult stem cell release rates drop at an astonishing rate. In order for stem cells to migrate into the tissues, it is essential that the micro blood vessels are open and free flowing. When there are excess free radicals in our blood from oxidative stress, fibrin threads appear in the blood, inhibiting the ability of stem cells to migrate into tissues. Read about an all natural stem cell flow enhancer that digests fibrin; reduces oxidative stress and helps detoxify the body. Your circulation of blood plays a very important role in your health as it transports adult stem cells etc. Arthritis is painful inflammation and stiffness of the joints and part of the body’s response as a protective mechanism to remove damaged cells, irritants and infection from an area to start a healing process. Adult stem cells can be very beneficial in the prevention and management of arthritis. The US National Institute of Health state that there are at least 74 diseases treatable with adult stem cells. When stem cell nutrition is used as a daily supplement over time, the stimulation of billions of additional stem cells in the blood stream could be one of the safest and most efficient methods for maintaining optimal health that science has yet discovered. When there is an injury or a stress to an organ of your beloved pet or horse, compounds are released that reach the bone marrow and trigger the release of stem cells. As they do in humans, adult stem cells reside in animal’s bone marrow, where they are released whenever there is a problem somewhere in the body. Find out how you can help your best friend enjoy optimal health. Various conditions in animals are helped by stem cell nutrition. Lynn Peck has been a Veterinarian for 19 years and for 11 years she has been learning, practising and doing research in alternative therapies such as homeopathy, acupuncture, bodywork and nutrition. She found that the various treatments brought some improvement, but the healing seemed to accelerate when she introduced stem cell nutrition. Dogs and Cats benefit from stem cell nutrition too. Here are over 15 testimonials here of how the health of people’s beloved pets has been transformed through stem cell nutrition. Eve-Marie Lucerne, a long time breeder and trainer of thoroughbred horses has been involved in holistic health care for many years. One of her horses was diagnosed at three years old with equine fibromyalgia and suffered with great pain and tiredness. Within 2-3 days she witnessed dramatic results on stem cell nutrition. Equine Stem Cell Nutrition has some lovely stories by professional horse trainers, a rider and Farrier. Just think of all the potential benefits of releasing more stem cells into your bloodstream – the ramifications are astounding. The power of adult stem cells to support the body’s natural renewal system is poised to become one of the breakthrough discoveries of our time. One concern some people have is that stem cells cause cancer to start or to spread faster. amongst stem cells embryonic stem cells have been linked with cancer growth, NOT adult stem cells. Cancer is induced by mutations that remove the normal checks and balances to cell proliferation that is normally found in a cell. A normal bone marrow derived stem cell cannot cause or contribute to cancer any more than any other normal proliferating cell anywhere in the body. Stem cells are not being introduced into the body. Their release is simply being triggered from the bone marrow. This has been occurring since you were born and is responsible for the renewal and repair of tissues in our body. Stem cell nutrition has a number of anti-tumor mechanisms including phycocyanin, which has been shown to have anti-tumour properties. Phycocyanin from AFA is a natural, water-soluble and non-toxic molecule is shown to have potent anti-cancer, anti-inflammatory, antiproliferative, proapoptotic (programmed cell death-inducing), and antioxidant properties shown in many in vitro and in vivo studies. Stem cell nutrition also stimulates the creation of natural killer cells; immune system cells that help our bodies get rid of infected and abnormally proliferating (cancerous) cells. In healthy individuals, skin youthfulness is maintained by epidermal stem cells which self-renew and generate daughter cells that become new skin. Therefore, part of skin ageing is caused by impaired adult stem cell mobilisation from the bone marrow and the reduced number of adult stem cells able to respond to repair signals. This means that, if we increase the number of circulating adult stem cells, we can affect the epidermal stem cells. Your skin’s response to an increase in circulating adult stem cells – The most evident visual response in people’s facial skin a few weeks after taking stem cell nutrition is that – it glows. People notice a smoothness and improvement in colour of their skin. Skin may also show improvements in age-related and hormonal pigmentation, decreased bruising and increased elasticity and tone. Arguably the most exciting, promising and controversial medical research being performed today explores the potential of stem cells, unique cells that, when dividing, can produce either more cells like themselves or other specialised cells, such as heart cells, skin cells and neurons. Stem cells research is bringing the promise of regenerative medicine and miracle cures for such conditions as multiple sclerosis, blindness, heart damage and male pattern baldness. Blood Stem cells: 25 Trillion blood cells exist in the blood and every second 2 million blood cells die and are replaced. Researchers found that mice with defective bone marrow (damaged by radiation) could be restored by translates of marrow stem cells injected directly into the blood. 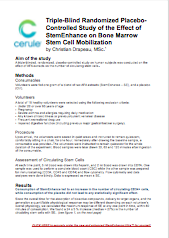 The bone marrow transplant, in essence restored the bone marrow stem cells to functional and normal status. You pay Health Insurance to cover your Hospital Expenses in case you are hospitalised. Wouldn’t it be even better if you could avoid hospitalisation through optimum health, performance and fitness? Your body produces Adult Stem Cells in the Bone Marrow. These adult stem cells which are the Master Cells have the ability to become virtually any type of cell in the body. Recent studies have found that adult stem cells can become cells of your heart, liver, pancreas, muscles, brain, eye, the joints and more. Results of many scientific studies indicate that increasing the number of circulating adult stem cells is probably the single most important thing you can do to achieve and maintain optimum health. Without adult stem cells, your body’s natural renewal process simply could not take place and death would soon follow. Growing old, physical, emotional, and environmental stress, and poor diet, pollution, smoking, excessive drinking, and drugs all take their toll on your body’s ability to renew itself. Now there is a natural dietary supplement that when consumed, helps to increase the number of circulating Adult Stem Cells in the body by 3 to 4 million (30%) within an hour of ingestion. in the tissue, they proliferate and transform themselves into healthy cells of that tissue! If you want to be proactive and maintain optimum health, or fight the effects of ageing, injury and day-to-day wear and tear, a daily increase in the release of your own Stem Cells into the bloodstream can produce considerable health benefits. When stem cell nutrition is used as a daily supplement over time, the stimulation of billions of additional Stem Cells in the blood stream could be one of the safest and most efficient methods for maintaining optimum health, that science has yet discovered. Are Adult Stem Cells the best anti-ageing system ever discovered? Knowing what Adult Stem Cells do to the human body, it makes sense to have more of them in the bloodstream. This will have profound effects on your health, well-being, and help fight the effects of ageing. Do you remember being a teenager and dancing all night? Do you remember partying all night or playing sport all day? How would you like some of that fun, energy and vitality back? Maybe you just need more Stem Cells in your Body!! Give your body a Stem cell boost now. Email me to find out how!! 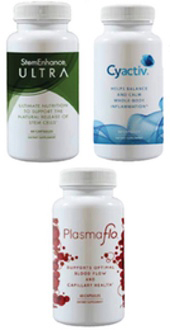 The Stem Cell Nutrition Products Home Business. According to the US Department of Labor, there are approximately 38 million home-based businesses in the US. Some 300,000 women start home-based businesses every year. Entrepreneur magazine estimates that $427 billion is generated each year by home based businesses. A Money magazine survey found that 20% of home businesses had a yearly gross income of $100,000 to $500,000. Frustration is building over the medical system’s failure to address our daily health concerns. There is a demand for more natural methods of maintaining health without side effects. This, in part, is driving the tremendous growth of stem cell nutrition. The power of the product. New people are joining us as Independent Business Owners. Many Independent Business owners were earning good monthly incomes just months after the company launched. Some people work part-time, some are building primary and sole income businesses. With consistent effort their businesses and incomes will grow well for years to come. 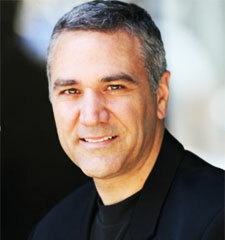 The state of the art systems provide all the resources necessary to run and expand a business. With the latest technologies employed by the company, distributors can focus on building their businesses. Start Your Own Business Selling The Hottest Health And Wellness Products Available Today! CLICK HERE to start your own stem cell business today OR Email me to find out how.